Teresa of Avila was an intensely loving person. The deeper her union with God, the more resolute her devotion to her fellows. Most of all she loved her young spiritual director Gracián. This gave rise to all kinds of envy and misunderstanding in the Order. The saint herself wrote imperiously: “I can permit myself, my father, to show you a great deal of love, but not all nuns are allowed do this.” Yet after the death of Teresa, Gracián, ‘Father of the Reform’ of the Carmelite Order, went through very hard times: exclusion from the Order, imprisonment by the Moors, homelessness. Posterity has felt obliged to pass over the life of this prudent and lovable priest in silence. 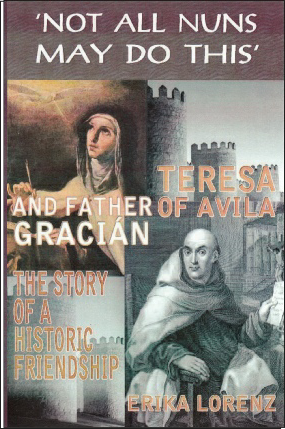 This book compares the intensity of feeling reflected in the letters of the Saint, who wrote almost every day to ‘her father’ and superior, with Gracián’s thoughts about Mother Teresa and her love as recorded in his own often-humorous accounts of his adventures and misfortunes. Looked at through the lens of a sensitive interpretation, these writings (which do not include his letters to the Mother of the Order, now lost) give us a nuanced and very human picture of Teresa, a picture that is deeply moving.